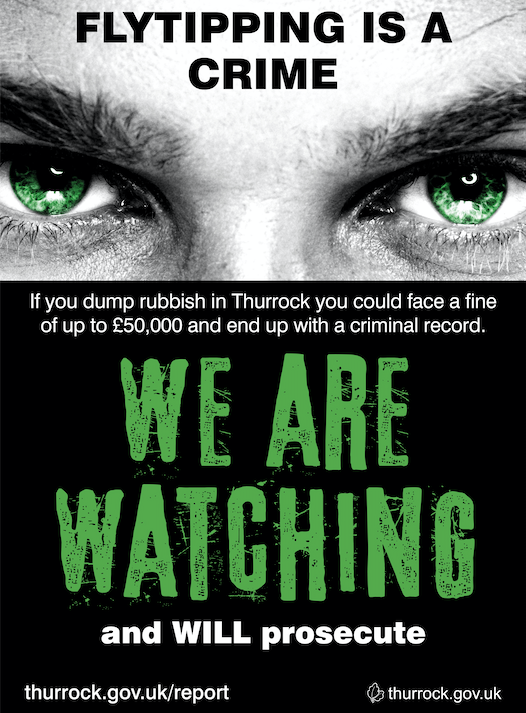 As well as targeting fly-tippers the council is giving residents the information they need to avoid having their waste taken by unlicensed and unscrupulous waste carriers, which could end up landing them with a hefty fine. Cllr Aaron Watkins, portfolio holder for Environment and Highways, said: “Fly-tipping is a selfish and disgusting act and we will use all the powers available to us to ensure that anyone involved faces the consequences of their actions. “We spend a significant amount of money keeping our streets clean and to dump waste in Thurrock shows a complete lack of respect for the borough. “We will fine wrong-doers on the spot and even take people to court where they can be given a huge fine or a prison sentence.